If it’s June, it must be time for another Worldwide Developers Conference. (Well, unless it’s one of those years where Apple holds the event in August, but work with us here.) With the annual gathering of Mac and iOS developers set to kick off next Monday, June 10, we’ve assembled a panel of editors to preview Apple’s big event. Senior editors Dan Frakes and Dan Moren and associate editor Serenity Caldwell will tell you what to expect when Apple executives take the stage for next Monday’s WWDC keynote, whether that’s new Mac hardware (it’s a possibility), new phones or tablets (unlikely, we think), or previews of the upcoming versions of Apple’s operating systems (practically a near certainty. Our talk of a revamped Mac Pro didn’t materialize out of thin air. Following the 2012 WWDC keynote, Apple CEO Tim Cook promised “something really great” for professional users after a customer complained about the lack of Mac Pro updates. There’s a rumor that Apple could launch a streaming music service soon—the so-called iRadio. The rumors of a forthcoming launch are fueled by reports by both Cnet and New York Times that Apple and Warner Music have come to an understanding. 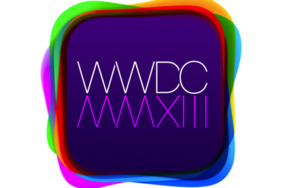 We have a healthy debate in the podcast about whether WWDC is the proper venue for such an announcement. Elsewhere on the site, Christopher Breen sings the praises of iRadio’s potential.